How can we learn if we don’t sometimes fail? I’ve run into a problem. My first handspun socks, the product of the Great Shetland Experiment, are experiencing severe structural failure. Barely past their first birthday, these beloved objects are wearing out, and quickly. I darn, I patch, I try to save, but as soon as I do, new holes appear. The same thing is happening with another, newer pair, too. Since I made these socks from the yarn up, I’ve only myself to blame, so I’d better figure out what went wrong. Making socks from woolen- or semi-woolen spun yarn (both sock yarns were spun from the fold from top, so technically, they’re semi-woolen) was risky. There’s more air in the yarn, and therefore less fibre, so it’s not as strong as smooth, dense worsted spun yarns. However, woolen-spun yarn is generally warmer and springier, and considerably less tedious to make, and others have made perfectly good woolen-spun socks, so I’m not ready to give up yet. I turned to my sock-knitting imaginary friend*, Crazy Aunt Cookie, for advice. I’d knit as densely as sanity allowed, and plied pretty firmly, so Cookie thought two other things could be causing this sock failure: not enough twist, and too much love. Though the yarns were plied firmly, I’d stuck to the traditional woolen approach of under-twisting the singles, which is great for sweaters (it makes for a much softer yarn), but crap for things that see hard wear. 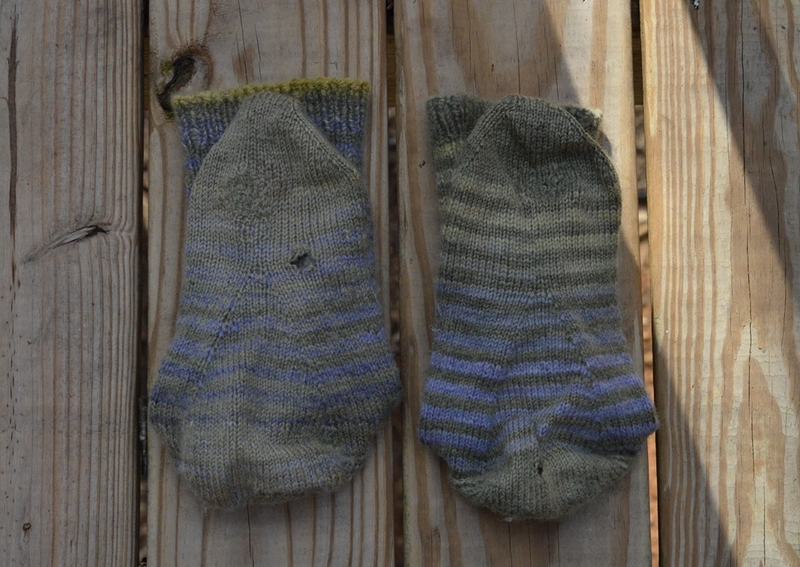 Then, as I only had two pairs of handspun socks and they were far and away my favourites, I wore them too much, sometimes putting them through two or three wash and wear cycles in a week. “Love & wear kill socks,” she said, and sadly, I can see that she’s right. 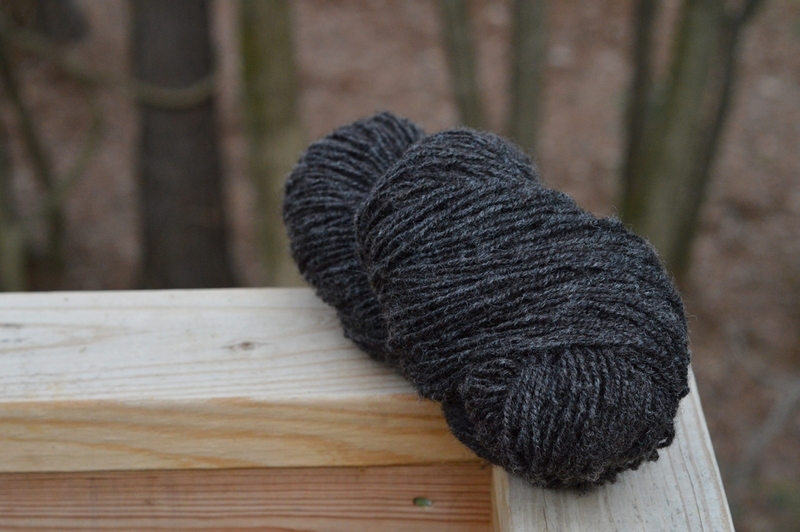 Cookie sent me a skein of her woolen-spun sock yarn so I could see how she spins it. Cookie’s handspun. What a mensch she is. I may come to regret it, but 1) the wool is Romney, which is generally a pretty tough fibre; 2) it’s a cabled yarn, i.e., two two-ply yarns plied with each other, with lots of twist added in both plying sessions, and 3) I’ll be really nice to these socks. I promise. I just need to make eleventy pairs. * I.E., a friend I know only from the internet, although now that she’s sent me yarn, I must assume that she’s real. LOL! at your footnote. So sorry to hear about the passing of your woolen-spun socks. May I also suggest that you knit up a bazillion more pairs so that you can wear out each of them less quickly than the few (one?) pair you have now. I have faith in you, and know you can solve this problem!!! MWAH! ‘Only’? Pshaw. Some of my best friends are imaginary. You and Sherry are right, of course. I’d best get knitting. I’m sorry your socks have worn out! There is nothing more sad than a worn out favorite knit. 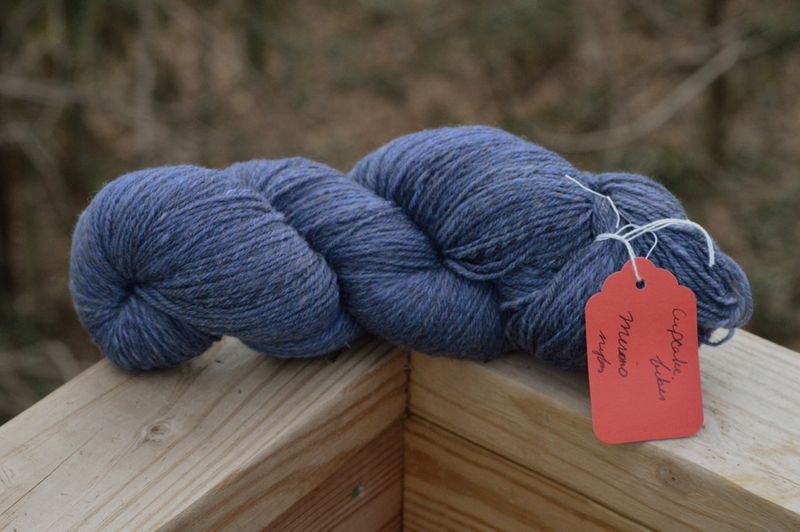 Best of luck to you in your quest for the perfect hand spun sock yarn!